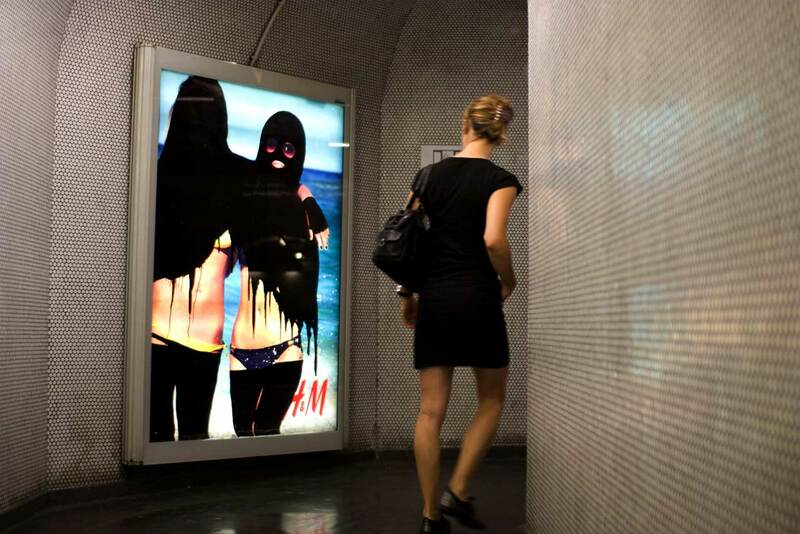 This Princess Hijab bomb recently hit an H&M advertisement in what appears to be a subway tunnel. The vandalised figures in the ad pose in 'slutty embrace'. This has caught the eye of a pedestrian walking past. Princess Hijab's bombs are more relevant than ever, since the French Parliament banned the Burqa in public spaces. Princess Hijab should read the news and find out why the burqa was banned.